The special educational needs and disability (SEND) code of practice (2015) requires all local authorities to describe the special educational provision it expects to be available for children and young people who have SEND. This information describes the arrangements schools should have in place for Croydon children and young people with SEND. Publish our arrangements for admission for disabled children, the reasonable adjustments being made to prevent disabled children from being treated less favourably than others; the facilities provided to enable access to the school for disabled children and our accessibility plan showing how we plan to improve access over time. What does a Local Offer mean? Ensuring pupils have the provision to meet their needs with specialist teaching and support where it is needed. At Serenity we strive for every learner to achieve to their highest ability by promoting a school ethos which is underpinned by our core values of: honesty, total positive regard, empathy, responsibility, self-awareness, and the desire to grow. This is developed from the therapeutic model and we in line with the humanistic approach to growth we believe that all people have free will and with hope and unconditional love lasting and fulfilling change is possible regardless of life’s difficulties weather they are nature or nurture in origins. We teach our young people key-skills and foster a growth mind-set where effort and hard work can make anything possible. We nurture children’s individual characters and encourage them to make informed choices; to accept that thinking can be irrational or distorted and with patient guidance and help eventually they can confidently to stand up for the truth and what they know is right. Every young person is a valuable member of our team and is encouraged to reflect on their own views and those of others. Learning and self-awareness is life-enhancing and enjoyable and we actively promote enquiry and challenge. We develop emotionally intelligent learners who aspire to be the best they can be, are able to empathise with others and contribute successfully to society. Serenity is an inclusive school and we will work with you to make sure your child is a happy, confident and successful learner. When pupils have identified Special Educational Needs or Disability (SEND) before they start at Serenity, we work with the people who already know your child and use the information already available so that we can meet their needs as soon as they arrive in our school. We also accept young people who have been identified but are currently in the DRAFT process of an EHCP. We have a rigorous admission procedure and assessment framework which is outlined on a separate document. All young people who start with us are thoroughly assessed over a 6 week period and this includes therapeutic assessment. Any new information that comes to light will be shared with the relevant professionals in order to improve the current or draft EHCP. We will always involve you in all decision making about your child’s support. When we assess your child we discuss if understanding and behaviour are the same at school and home; we take this into account and work with you so that we are all helping your child in the same way to make progress. We also support through systemic work and parental support classes. We continue to assess EHCP’s particularly SEND targets with parents/carers and, where appropriate, pupils, and if necessary we advise changes which are presented to key professionals and the LA. We use data from teaching to generate conversations with family members, to encourage joint research and to repeat and practise activities that are new or of benefit to your child’s development. All our staff are trained to make materials and ‘work’ easier or more challenging, to personalise the learning for each individual. We change our teaching methods and use additional schemes/materials/programmes of work so that we have something at the right level for pupils with SEN.
Staff are trained to meet the needs of children with specific learning difficulties (including dyslexia) (SpLD); autistic spectrum disorder (ASD); speech, language and communication needs (SLCN); and social, emotional and mental health difficulties (SEMH). Those with greater experience take lead roles in promoting good practice and maintain up to date knowledge and awareness of current developments. We hold regular staff meetings and planning live meetings to keep an open dialogue flowing about the needs and difficulties the staff team experiences on a day to day basis. This ensures that when students are in crisis or experience difficulties the staff team are aware, as a team we develop relevant SMART targets, keep a consistent and pragmatic approach going, and regular review and assess the progress being made. We offer extra support to children from specialist teachers / support staff to access the curriculum and extra support on SEND related needs. 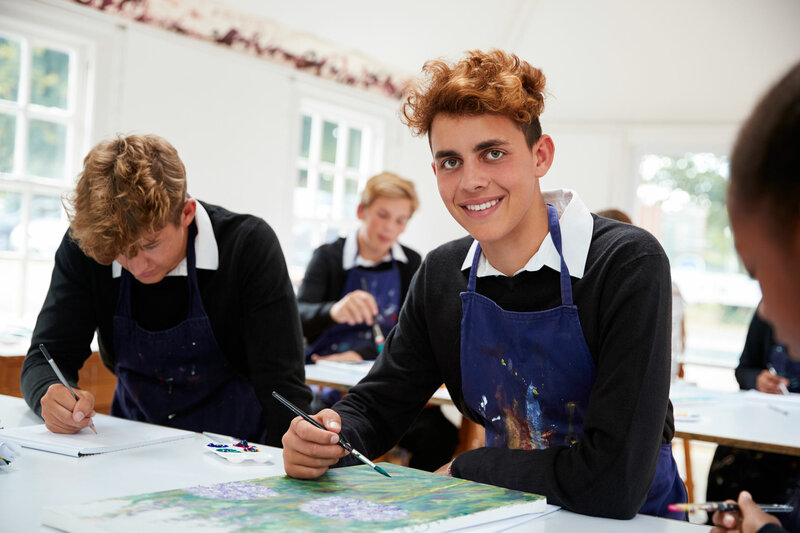 We have access to support from local authority services and we will build links with other schools and non-educational establishments so that through partnership we can learn and extend our knowledge and support. We work with the speech and language therapy team to train our staff; advise on strategies and programmes. We get support from occupational therapy (OT) for pupils who need assessment or specific resources to meet their physical disability. We encourage and promote therapeutic approaches across the school as well as for individuals so that we tackle the cause of SEMH difficulties. Together with the pupil and the parent we review the pupil’s progress; agree what everyone will do to make teaching more effective and to support learning; agree targets for the pupil’s achievement; agree how we will work together and what we will each do; agree a date to review how well the pupil is doing and whether we are making a difference, and what we need to do next. This information is recorded to ensure accountability. Your first point of contact is always the person responsible – this may be the class teacher or the SENDCo (Mr Mclean). Explain your concerns to them first. If you are not satisfied that your concern has been addressed speak to the Head teacher (Mr Jude Onye) who can arrange for you to meet the designated school Governor for SEND if needed. Once they have received your complaint, a manager will look into it and write to you to explain their findings. You will usually receive a reply within 10 working days of us receiving your complaint. ‘Behaviour, emotional and social difficulty’. This reflects the change in thinking around causes of ‘challenging behaviour’ and growing concern about young people’s mental health. There is now only one support code – ‘SEN support’ – which replaces the 2001 support codes of ‘early years/school action’ and ‘early years/school action plus’. Although Government wishes to move away from assumptions about pupils’ needs based upon their difficulty or disability, they still need information about specific categories of need to allow them to predict levels of future resource. This is collected through the statutory ‘School Census’. The Government first started collecting information on individual pupils in 2002 through the Pupil Level Annual Schools Census (PLASC). In 2006 (for secondary schools) and 2007 (for other educational settings), the PLASC was replaced by The School Census. This statutory census is carried out three times a year (January, May and October). Click here for more information. ‘SEN support’ but no specialist assessment of type of need (NSA). Since the spring 2015 census, the ‘Behaviour, emotional and social difficulties’ (BESD) category is no longer an option. For information about 2014-2015 transitional arrangements for special educational needs categories of need, see Department for Education (2014).